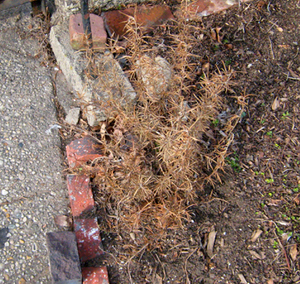 My poor rosemary plant croaked, of course. The harsh temperatures in March proved too much for it. I should've taken Kelly's advice and mulched around the base.